24th July 2014 – For the second night in a row a PACE athlete was celebrating at the World Junior Championships in Eugene, Oregon. 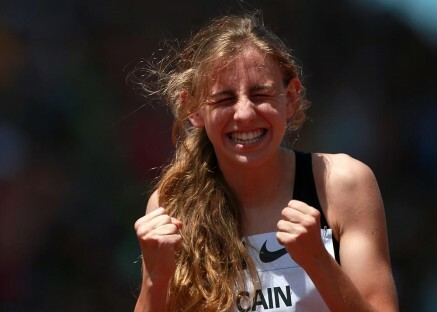 Mary Cain (USA) was hotly tipped in the 3000m and the Alberto Salazar coached athlete executed her race brilliantly. A slow pace early on saw lots of jostling for position and at times contact between athletes. No doubt using the experience that she has acquired competing on the international circuit Mary was able to negotiate her way through this and as the race unfolded get herself where she wanted to be. Despite a strong challenge from the athletes from Kenya, with 200m to go Mary was able to kick for home and show her sub 2 minute 800m speed to cross the line first in a new personal best time of 8:58.48, over 2 seconds clear of the runner-up.